Your construction workers are your biggest asset. Obviously, you would do anything to keep them safe and productive while on the job site. 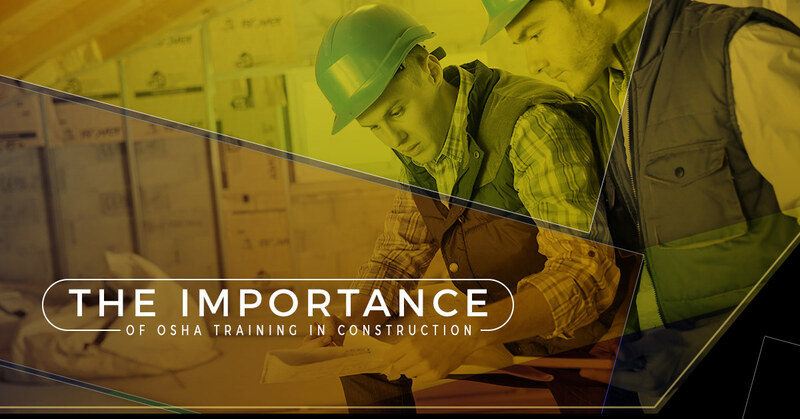 In this post, we thought it would be good to explain the importance of OSHA training in construction. Keep reading to learn more about worker rights, employer responsibilities, and cost measures worth considering. Let’s go back to 1970 when the Occupational Safety and Health Act was first created. Under this act, workers have the right to file confidential complaints to have their workplace inspected and even participate in said inspection. In addition, workers have the right to receive training and information to prevent hazards and apply them on-site. So how does OSHA relate to this particular industry? Well, there are various work hazards on a construction site. It’s no surprise when you consider approximately one in five worker fatalities are construction-related. As an employer, it’s your responsibility to provide a safe workplace. This means conducting training in a language that workers understand. Employers must also document any worker injuries and fatalities and perform regular tests to determine whether or not the work site is safe. We will dive deeper into safety training later in the post. This is a big one. A safe workplace reduces construction costs both in the short-term and long-term. It’s as simple as that. However, injuries and accidents occurring on-site can result in significant medical and legal expenses. While you certainly can’t prevent every single accident for the lifespan of your company, you can take the necessary steps to ensure a safe workplace. So cost is absolutely a key factor here. “Our workers know what they’re doing, so there’s no need for OSHA training.” If that’s your mindset, then you need to re-evaluate things. Should your organization fail to complete the various required OSHA courses, you can expect hefty penalties. In short, OSHA enforces its regulations through citations and penalties for those not in compliance. Believe it or not, just one OSHA citation on record could impact your organization’s ability to bid for jobs and government contracts. Here’s the deal: A business that maintains OSHA compliance is safer, more productive, and more profitable. Menotti Enterprise is a family owned and operated safety and management organization. We specialize in OSHA training, construction management, and risk management in NYC. At Menotti, we strive to identify any on-site hazards, prevent future incidents from occurring, and mitigate future construction delays. Why risk costly delays with your next project? The Menotti team will prevent and reduce associated liabilities of our clients, from pre-construction all the way to closeout.